Really interesting statement from designer Bruce Kirby made tonight. Is the Laser about to become the Kirby Torch? 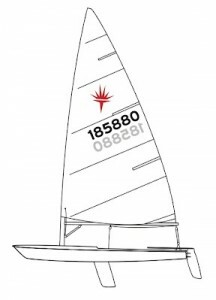 For those who don’t follow these matters, there has been a dispute running for sometime between Bruce Kirby, designer and rights holder to the Laser Dinghy name and design and the builders in Europe & North America. Apparently, they have not paid Royalties on the boats they have sold for quite a while. There have also been supply-chain difficulties for both boat and genuine class-authorised parts. Rumours are that those builders have been in financial difficulty, although how you can manage that with an effectively monopoly and perhaps the highest mark-up product in sailing is beyond me. Whether the International Laser Class, ISAF, let alone the IOC, will accept the change in anyone’s guess. But if it happens there is going to be lots of “search and replace” work to be done, against both words and graphics. I suspect the Search Engine Optimisers are now scratching their heads too! 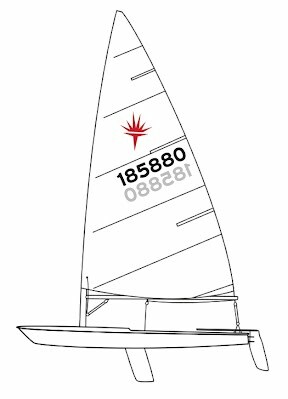 Will it make a blind bit of difference to our Laser Sailing? Not much, I suspect. Final thought. The dispute has got quite ‘interesting’ with the builders using offshore companies and the like. That new website also says that Kirby considers the boats with unpaid Royalties ‘counterfeit’ (from a builder-action viewpoint, there is no hint the ultimate boat-buyer has a problem). I am not a lawyer but I wonder whether it moves any legal action for those unpaid royalties from the civil court (where there can be hiding behind ‘the corporate veil’) to the criminal court, which might shift the jurisdiction and make it a personal, not company, crime. That would be fun. You will find us on stand C10, right next to the boat repair workshop. I feel genuinely enthused by reading Clive Eplett’s book. It delivers just the right information us tail-enders (and the mid-fleet) need, which other dinghy books have not delivered. 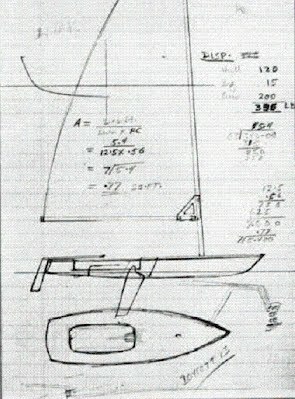 Club sailors don’t need rocket science, and it is surprising no-one has written this level of book before. It is apparent in every sentence that Clive really wants to help you, and knows you need a prod too. The book employs modern understanding of the brain; so you have a chance of applying these ideas, not just reading and forgetting. Clive understands how weak us humans are…as well as the nature of the melee at a club-racing buoy. This material is digestible and actionable, plus the firm instructions on p80 are worth the cover price alone.